Bariatric surgery isn’t right for everyone. 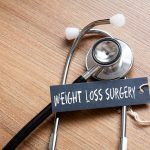 If you want to lose weight but perhaps aren’t ready (or a candidate) for weight loss surgery, here are some popular “fad” diets that might better suit you. The Zone diet balances a mix of low-fat proteins, a small amount of healthy fats and carbs low on the glycemic index. Read more about the Zone Diet. One of the most popular fad diets out there, the Atkins diet is all about drastically limiting carb intake to speed up weight loss. By limiting the intake of carbs, your body turns to fats for fuel, helping you burn fat and spark weight loss. Read more about the Atkins Diet. The South Beach Diet is based on the best-selling book from cardiologist Arthur Agaston, M.D. 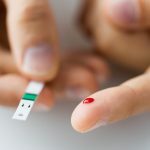 The modified low-carb approach to dieting offers a more flexible approach to nutrition than the more stringent Atkins diet. Read more about the South Beach Diet. The Dukan Diet is a high-protein diet named for French physician Pierre Dukan. 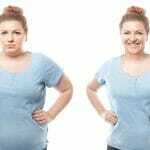 It has four distinct phases aimed at achieving rapid weight loss, and was made famous by the Duchess of Cambridge who used the diet to lose weight prior to her Royal Wedding with Prince William. Read more about the Dukan Diet. Unlike some fad diets that are focused on rapid weight loss, the Mediterranean Diet is more of a “lifestyle” diet focused on promoting good general health and wellbeing. People from the Mediterranean suffer from fewer cases of heart disease and cancer, so the diet is tailored to replicate their natural diet, which is rich in fish and antioxidant-rich fruits. Read more about the Mediterranean Diet. The Dash Diet (Dietary Approaches to Stop Hypertension) is all about lowering blood pressure without the use of medication. It calls for a diet rich in fruits, vegetables, nuts, nonfat dairy and lean meats, fish and poultry. Read more about the DASH Diet. The TLC Diet (Therapeutic Lifestyle Changes) is an old-school, low-fat approach to nutrition developed by the National Institutes of Health’s National Cholesterol Education Program. By eating skinless poultry, fish, whole grains, fruits and vegetables, the diet claims to be able to cut bad cholesterol by 10 percent in six weeks. Read more about the TLC Diet. The Paleo Diet is a blast from the past (the Paleolithic era to be exact) focused on eating foods that are not processed and contain no growth-stimulating antibiotics or hormones. The diet promises weight loss, improved blood fats, better digestion and more energy to name a few. Read more about the Paleo Diet. Weight Watchers is a well-known diet program that helps participants shed up to two pounds per week using a points system. It can be a bit pricey compared with some of the other diet programs, but the fact that Weight Watchers has been around for such a long time demonstrates that the diet can help people lose weight. Read more about the Weight Watchers Diet.